Think of the coolest contemporary building in your city. A building which is innovative and cutting edge in both its form and function. I wonder if anyone has thought of a library? I suspect not. Unless perhaps if you live in Birmingham. From working in the higher education sector over recent years, I have seen a new breed of ‘Learning Resource Hubs’ emerge; a new type of library which incorporates digital media and creates working areas where interaction is promoted. These are good buildings. 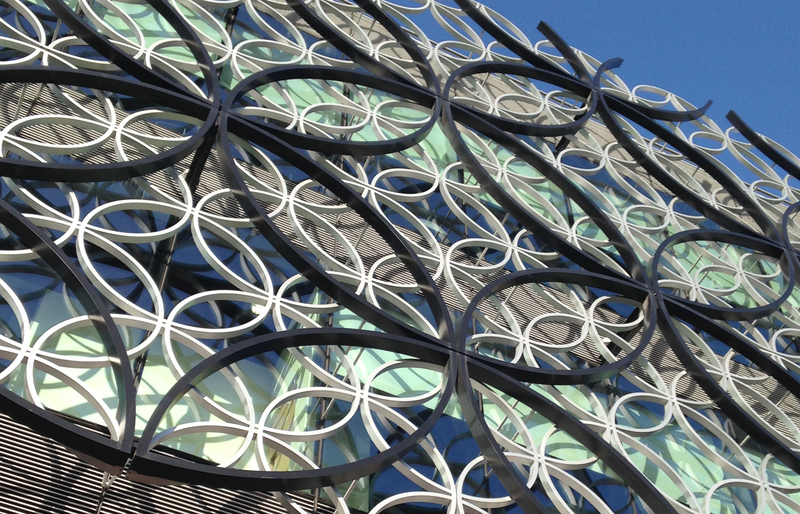 Whilst in Birmingham last week I visited the recently opened Library of Birmingham. It’s was designed by Mecanoo architects following a high profile RIBA international competition which attracted Fosters and Hopkins, amongst others. The building cost £190m to build, which is bold for a local authority to expend that much cash through such austere times. But this project has a long history and has seen numerous iterations, on two different sites, designed by different architects. I must admit; I knew very little about this building, other than having seen its ‘bling’ facades emerge when driving through the city. This building is like no other library I have experienced. It’s principle function is as a contemporary library, but it’s use is wide ranging. In its short life, it’s has become a visitor attraction and more than that; a community hub. I wandered around for a short while to understand the different levels and experience the different spaces. What was very evident was that this 35,000m2 building attracts every age and walk of life. People come here to read, relax, see the city, have business/ social meetings, see/ exhibit art, work, eat/ drink, surf the net and no doubt much more. The building had a positive, but respectful buzz of activity and interaction – not something you’d typically expect for a library. A trip up to the two external landscaped terraces provides good views of the city, although looking down onto Birmingham city centre is a real mixed bag! Birmingham seems to have a history of pushing the boundaries when it comes to facades. The Selfridges Store at the Bull Ring was bold in its time. The facades of this new Library take a new dimension. The building envelope is extensively glazed and highly insulated to achieve strong sustainability credentials. But the appearance of the building is defined by its intricate, curvaceous extruded aluminium frieze. This is a German engineered and manufactured system which sits nearly a meter off the main facade. It’s gives the building great depth and articulation and looks equally impressive both in day and night time thanks to its reflective colours and uplighting. I strongly suspect that this is an architectural solution we will see more of in the future. The principle being; a simple, flat facade which provides high performance, with a decorative second layer which is completely open to creative freedom; not confined by windows, structure, services etc. Although the building envelope for this project cost £14m so it is expensive as well. Circulating through the building is interesting. You travel on escalators through a series of connected atrium spaces. This gives you a great appreciation for the scale of the building. The bookshelves extend out to the facades radially on plan from the atrium. This optimises daylight penetration and creates generous spaces in between the books which have a wide range of seating areas. The top levels are accessed via a glass lift which passes the closed off archive facilities. The very top of the building has a final surprise; A wood-panelled room, originally designed by John Henry Chamberlain and built in 1882 to house the Birmingham Shakespeare Library. It has been dismantled, labelled and relocated to the rotunda. Its been called the Shakespeare Memorial Room. Having traveled though such a modern environment, it’s strange to arrive in a traditional old space at the top. This building is genuinely impressive on a number of levels, in both its use and form. I think it is a strong precedent for contemporary architecture and is well worth a visit if you’re in Birmingham. It’s definitely a building to see AND experience. I think other UK Cities could benefit from a building like this; something which adds to the City identity and creates a contemporary community facility. 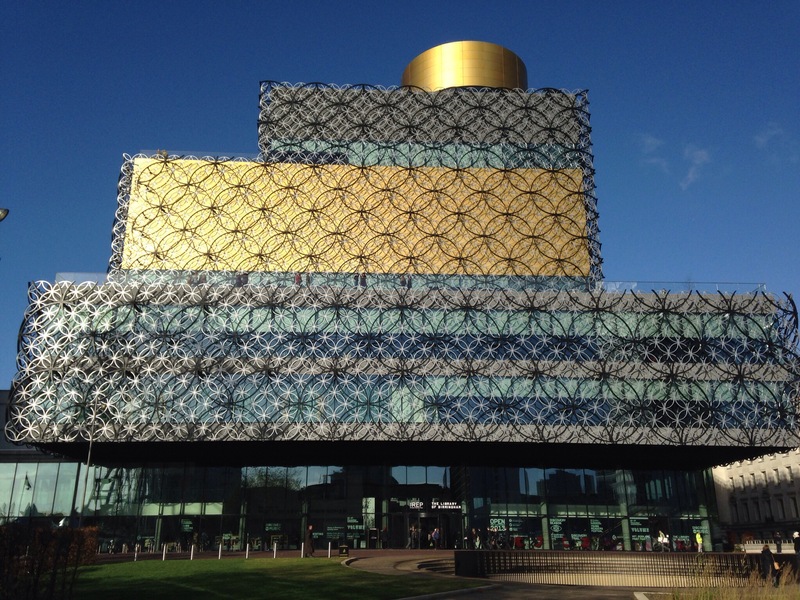 The Library of Birmingham does rewrite the book, its just a shame its not more British! 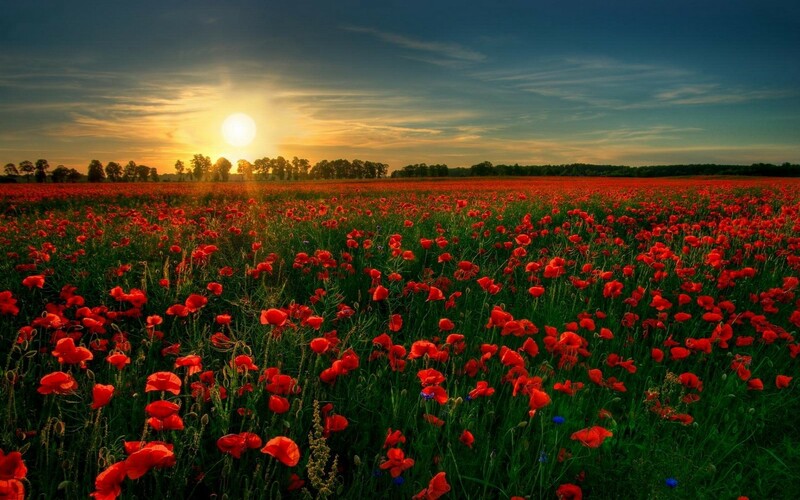 Every year in the UK, and most of the world, we stop for a moment to remember all those civilians and service personnel who have lost their lives during conflict. This day and its timings date back to the end of World War 1 in 1919, but as every year passes; people are still losing their lives in the line of duty. In Afghanistan in 2012 around 500 British soldiers were killed. However the figures from the two World Wars we have endured are staggering! In WW I there are estimated to have been 37 million total casualties, with 16 million deaths. Of those around 1 million British people died. In WW II a massive 60 million people died. That equated 2.5 % of the total population of the world and made it the deadliest military conflict in history. The UK lost around 400,000 this time round. These figures include both service personnel and civilians. Those people who survived these wars are sadly diminishing from us, but the memories must somehow live on. In 2013 it’s hard to comprehend how life would have been during these conflicts. Life back then was clearly very different and communication would have been very limited – and slow. If conflict or tragedy occurs today; we get to know about it and see it happening live. The closest I have been to sensing what war would have been like was around 10 years ago when I visited Ypres. I went to one of the many war cemeteries and witnessed hundreds of identical gravestones all immaculately lined up, there were fields of them! We also went to a museum which was full of objects found in the fields after the war. There was also an original arrangement of trenches which you could walk through. This experience was both moving and sobering. I somehow felt privileged to have been there, on the very soil where relentless and bloody conflict took place. This is a very creative way to mark and remember this atrocious event and those lives lost. You can find out more here. In the early 2000’s The National War Arboretum was built near Lichfield in Staffordshire. It was created to “honour the fallen, recognise sacrifice and foster pride in our country”. It is a creation of 250 memorials within a 150-acre park. Over 50,000 trees have also been planted for the arboretum to be a living tribute. I’ve been there a couple of times, but would like to go back sometime soon. It’s certainly worth a visit I would say. You can find out more here. I think we have social and moral duty to mark Remembrance Day with the utmost of respect. So many people have lost their lives and continue to put themselves in grave danger to promote peace in the world. All military service personnel of the British forces, both past and present – we respect you immensely – Thank you. Many people are quick to be critical of Supermarkets based on the negative impact they have had on Great Britain’s High Streets. The way we purchase our groceries has changed substantially in the last couple of decades. In fact a massive 90% of our UK grocery shopping is done in our Supermarkets. 3% of these sales are now on-line for local delivery; this is a rapidly growing trend. So whilst people are critical of these companies, they continue to shop with them. The likes of Tesco, Sainsbury’s, Asda and Morrisons have become hugely successful companies, but how do they do it? I watched Autumns Supermarket Secrets with Masterchef presenter Greg Wallace last week. This was the second part in a series which gives an insight to the operations of these huge companies. I was intrigued to understand a bit more about how companies like Tesco operate. 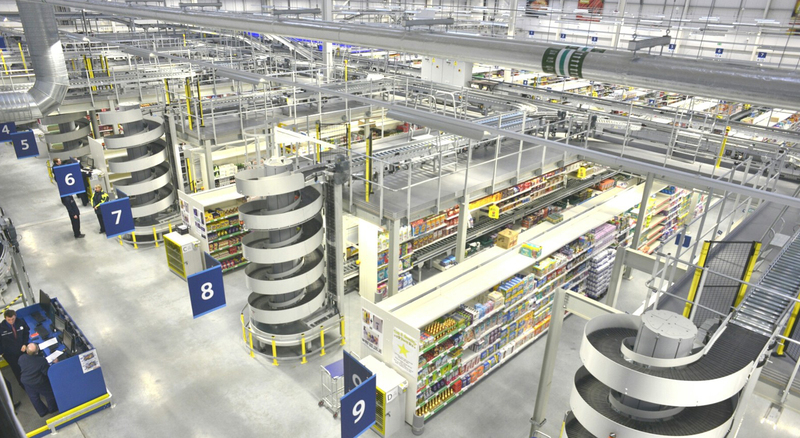 Tesco is the largest retailer in the UK and second in the world. Wal-Mart is the largest globally; they own Asda who are the 3rd largest in the UK. These are big business’ with ever increasing turnover and profits. 1. The Fruit and Vegetable aisles are always at the front of the store as its a soft way to encourage the customer into the “retail experience”. The items are generally loose and full of different colours. The aisles are really wide because people are in a transition into the store, therefore they are most likely to leave their trolley as they wander around. 2. We love ‘British’ produce. The challenge is how can the supermarkets put fresh British produce on the shelves all year-round? Working with their suppliers they have developed lots of ways of both growing and storing fruit and veg to keep it going longer. 3. The central spine aisle is the prime retail zone where the highest footfall and sales are generated. Therefore the ends of the shopfittings (called gondolas) have all the promotions and multi-purchase deals. 4. The freezer aisles are the least attractive/ engaging area of the store. Because its cold and you have to open doors or lean over into freezers. Therefore people spend the least time there. That’s why they are at the end of the store. 5. It’s logical to consider that it might be best to arrange the store according to how you fill your trolley (i.e. large/ solid/ boxed items first with softer/ loose/ compressible items last). However if they did this, people wouldn’t spend as much! 6. Every thought to yourself; this supermarket ‘own brand’ product probably comes out of the same factory as a similar independent ‘premium brand’ product? Well they actually do often come from the same factory. However, the content of those products is changed to suit the price point. Therefore its not just the packaging that differs. 6. It would seem that the UK have become obsessed with ‘ready meals’! We consume 1 in 3 ready meals across the whole of Europe. Convenience is no doubt a major driver in our spending trends as people lead increasingly busy lifestyles. Whilst on holiday in a fairly remote part of Yorkshire last week, we saw numerous Tesco vans navigating the tight lanes. The emergence of home delivery must be a real game changer for rural locations. Likewise the supermarkets are driving their operational development to facilitate home delivery. In addition to the conventional ‘home delivery’ from your nearest store, a number of supermarkets have now got online warehouse facilities to pack the boxes which arrive at our front doors. These are just like a supermarket, but without all the customer promotional signs etc! The boxes travel around the store aisles on a conveyor belt and stop at predetermined locations to be filled. Staff at each ‘station’ scan a bar-code to see what needs to go in the box. The shelves are arranged in priority of frequency of items purchased, so the regular items are right in front of the operator whilst the more infrequently purchased items are down the aisle. Clever stuff! So what can we take from all this? Well these companies have a very clear strategic focus on all aspects of their activity. Their objective is clearly to sell more and generate increased profits. They do this by analysing in detail what their customers want and how they buy it. Then they also push the boundaries in terms of maximizing their efficiency in how they get the products to the customer. 1. Properly understand and deliver your customer needs/ aspirations. 3. Maximise your profile/ offer through appropriate marketing. 4. Make sure that whatever you provide is efficient and effective from an operational perspective.